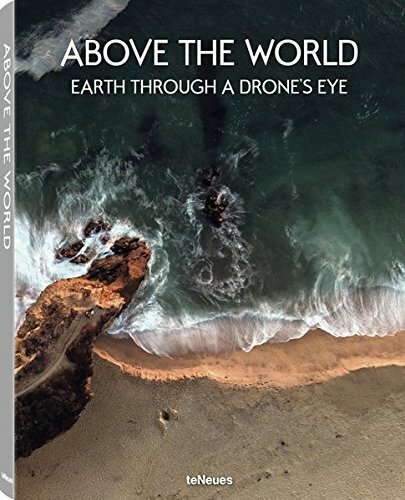 Above The World : Earth Through a Drone's Eye, ISBN: 9783832733773 - available from Nationwide Book Distributors Ltd NZ. Sometimes, all that is needed to change someone’s mind is a change of perspective. Flying cameras, freed from the constraints of gravity, redefine how we perceive the world we live in and reveal previously unseen moments of beauty. Very rarely does a new technology level a playing field in an art form, allowing unknown talents to share headlines with established artists. Drones are one of these great equalizers. With this book, we are shining a spotlight on some of the world’s best aerial photography. We examine not just the works of well-known aerial photographers, but also the many phenomenal images captured by non-professionals. The subjects of those showcased range from a volcanic eruption to the abstract patterns of fish farms as seen from above, and from never-before-seen views of Patagonia to powerful impressions of the Cliffs of Moher in Ireland. Above the World is an ode to the beauty of the aerial image as it can be seen and captured by anyone. Let yourself be inspired.